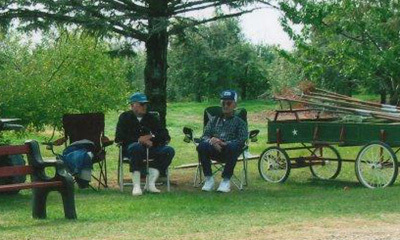 Hinegardner Orchard was started in May of 1960 when the first 600 apple trees were planted by Oris and Jean Hinegardner, along with their family and friends. They were planted by hand over a weekend. 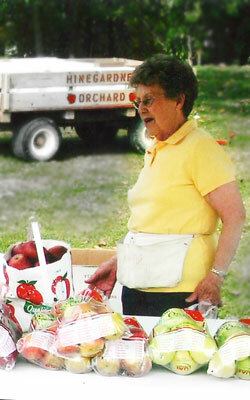 Oris and Jean opened the orchard for the first "pick your own apples day" in September of 1967. Over the years the orchard has grown to about 3000 apple trees that include 20 varieties. 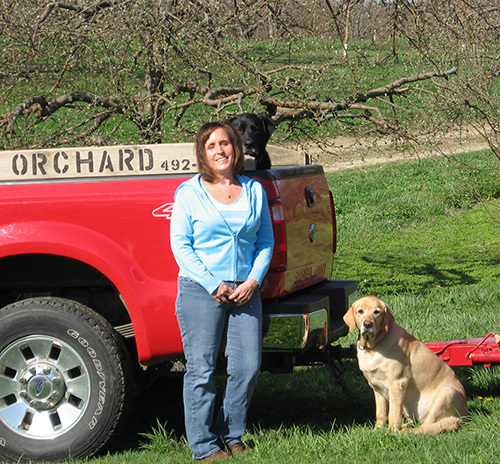 Orchard management and ownership has now been handed down to Dave and Julie Hinegardner. Besides the orchard and related crops Dave and Julie do have other interests. They do regular farming, but not as large as some. They have about 150 acres for corn and about the same with soybeans. Dave and Julie also have a cow and calf operation which keeps Julie on the 4-wheeler checking calving progress during March, April, and May. Somehow, owners Dave and Julie find time to have some fun. Most of the time is spent having Bampa and Meme (Grandpa and Grandma) time with the grandchildren. Of course they feel their grandchildren are very special and you can usually find at least one running around the orchard at any given time. Dave and Julie enjoy sailing and snorkeling. Often they try to go someplace in the Caribbean and rent a sailboat for a week in December. 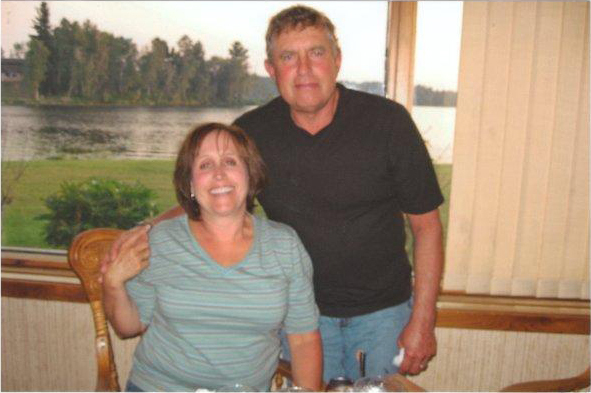 During the summer they like to spend a couple of weeks in northern Minnesota working, swimming, fishing and having a good time with family and friends. Besides apples Hingardner's now has fresh produce and a variety of other orchard related crops. These items have been added in over the years. They still continue to have the option of pick your own or they will pick them for you. Stawberries are available at the orchard or at our local Hy-Vee and Fareway grocery stores. Berries, when in season, are also available at the Des Moines and Grinnell, Iowa Farmer's Markets. We have an acre of raspberries for you to pick your own or purchase pre-picked. Hybrid classic cantaloupe start early in August along with early harvest apples. As the season progresses other apple varieties, squash, gourds, pumpkins, honey, apple cider, and apple pies come on line. Many of our products are also sold at local Fareway's, Hy-Vee's and Farmer's Markets. Everything we sell here at Hinegardner's Orchard we grow right here on the farm!